Every year Golden Tote cleans out their inventory from the previous year by offering Mystery Totes. You only choose the size and it is a complete surprise. They do not look at your profile or comments and you get what you get and can't return. I love the surprise factor, so I always order these! Plus the value is unbeatable. 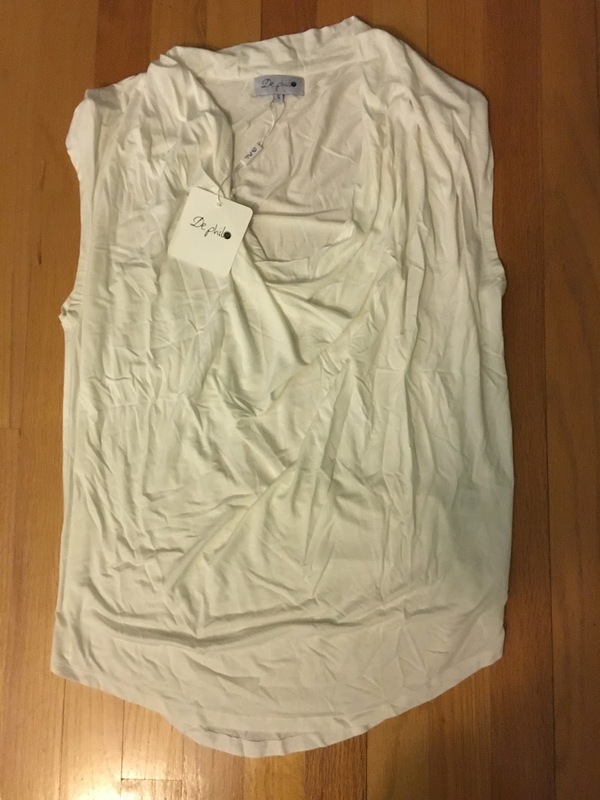 In the Clothing Mystery Tote you choose your size and you receive 4 items in a tote for $60. It looks like only size small and medium are still available. In the Denim Mystery Tote you choose your size and receive 3 pairs of denim for $60. It looks like sizes 0/24, 1/25, and 3/26 are still available. And the accessory tote was 4 accessories for $30, but these are completely gone now. 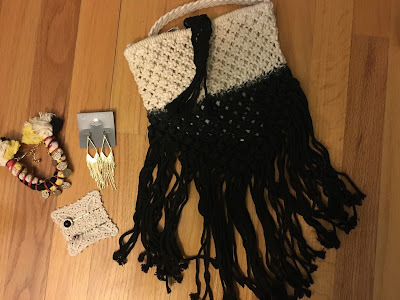 I ordered one clothing, one denim, and one accessory to show you the variety you can receive. I was so excited when my package arrived and couldn't wait to see what I would get. Everything is packaged in totes and this year they used totes from the previous months, so that was a surprise too. I received a couple I already had, but one was from a month I hadn't ordered, so I was excited about that! 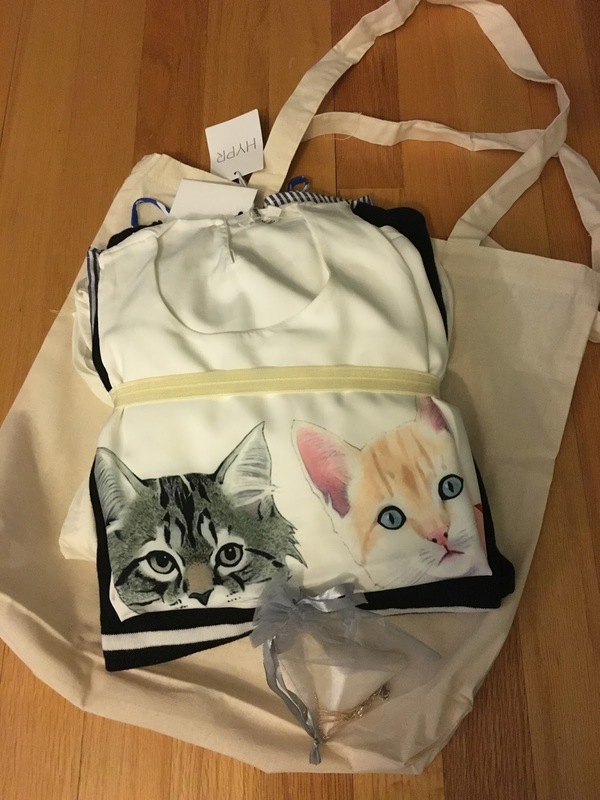 I'll start with the clothing mystery tote. I was hoping I wouldn't get duplicates and would get some items I wanted, but didn't order. Here is a look at what was inside my tote. I was so excited for whatever the kitty thing was on top and I knew I hadn't seen that before! And glancing at the rest of the items, nothing looked familiar so that was good. I forgot to mention, if you ordered 2 or more mystery totes when they launched the sale you received a free jewelry item. 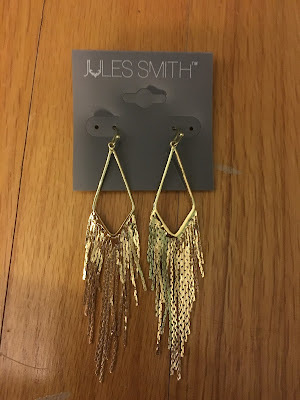 I received a Jules Smith necklace! It's a bit large, but I love it!!! Definitely a different kind of statement necklace and it's like nothing I already own, so I was very happy with it. Now...onto the clothes! The first item was the kitty tank top by Hypr, that you can see on the top of my pile. This is super cute and I style it with a cardigan and skinny jeans. This was a definite keeper! I figure if I receive one or 2 items I like, it's worth it. This shirt just makes me smile. Love It! 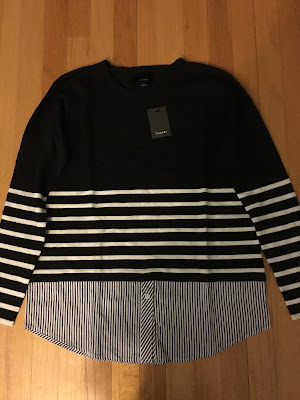 I also received a Lumiere striped sweater. This looks like something I would have picked out for myself, so I was happy to see this. It fits kind of loose, but I like it. I also really like the shirt detail at the bottom. This was another keeper! I also received a maxi dress by Sweet Claire (I believe). 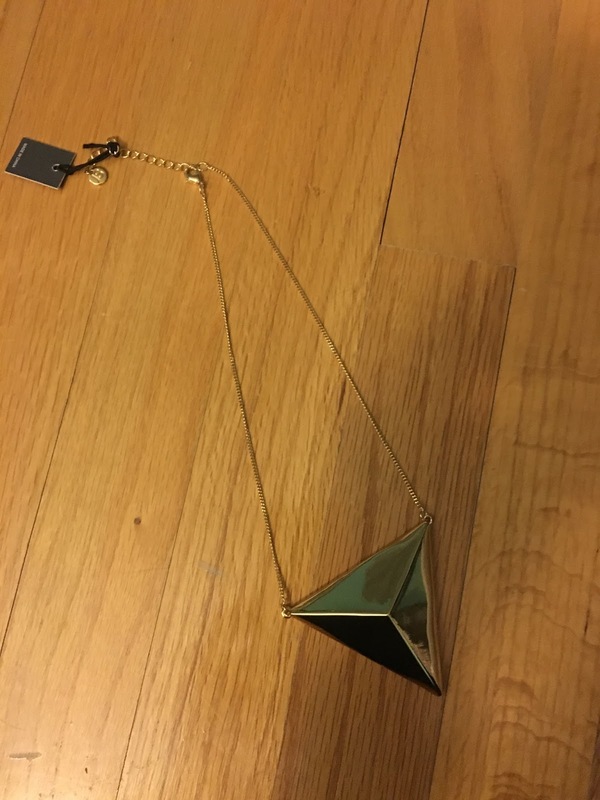 I already traded this item, so I'm not able to check the brand, sorry. This was really cute and I was excited when I saw this, but this didn't work on me. 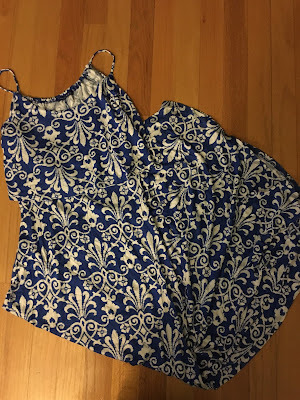 It was quite tight and I prefer loose fitting items. And it was not a maxi dress on me (it was short), so the length didn't look right. I traded this, and received a different dress that suits me better. Sorry the picture doesn't show the details of this dress. The final item I received was a De Philo cowl neck white tee. Seems simple enough and for most people this would have been great, but I really don't like cowl necks on me, so I traded this one also. 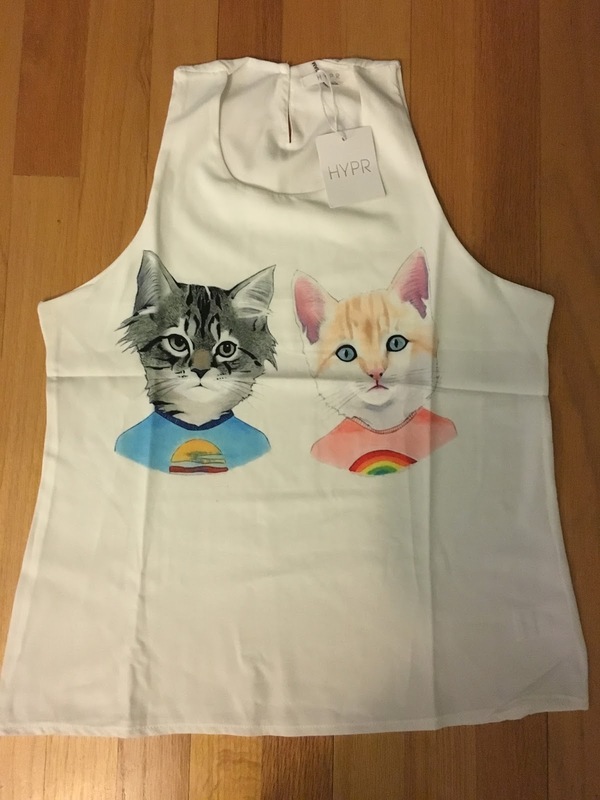 It would have been the perfect basic shirt, but not for me. It was really soft and comfy though. And again the picture is not great. I didn't take pictures of these on, because they didn't work for me. And now on to my denim mystery tote! The first pair I received was a pair of black denim by Just Black. These fit great and are really comfy. They have a skinny leg, which is mainly what I wear. I wasn't sure what to expect with the denim mystery tote, but I like these and will wear them. I knew as long as the jeans fit, I would like them. These were a keeper! I also received olive skinny jeans by Just Black. These ran a bit small and were a little tight on me. 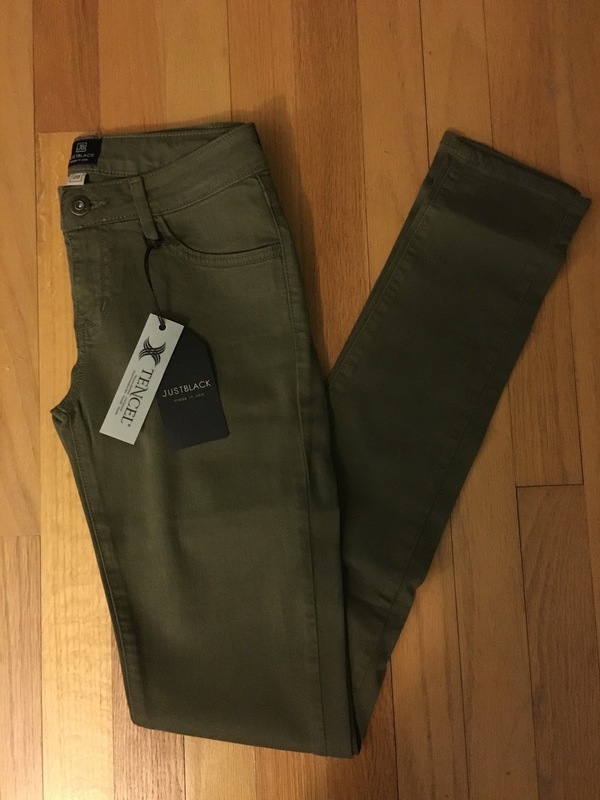 I really love the olive color, so I'll keep these around to wear on skinny days. 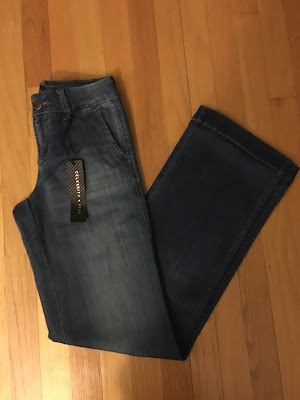 I was happy to see some different colored jeans in my tote. These were another keeper! And the final pair of jeans was the Celebrity Pink trouser jeans. 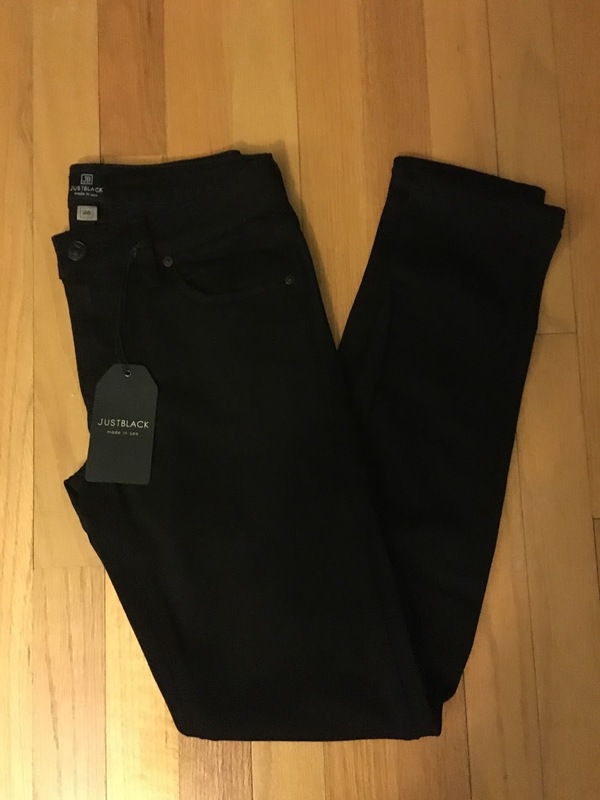 I just received these same jeans in my December tote, so I definitely didn't need 2 pairs, so I traded these and received gray jeans by Just Black instead. So, with my trade, this was a very successful denim tote! I would have loved these trouser jeans if I didn't already buy them. Now for the accessory tote, which was kind of a bust for me. But to be honest I only ordered it to get free shipping and didn't have high hopes for what I would receive. Though I have seen people receive some great scarves and bags. I just don't have a whole lot of luck with these surprise totes usually. Here is a picture of everything I received. 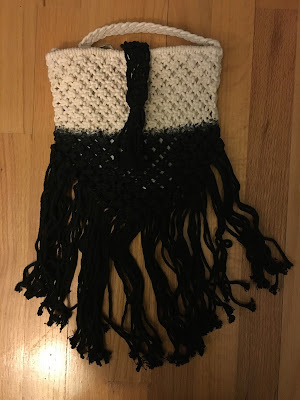 I had seen lots of reveals receive the Street Level fringe bag and I was dreading receiving it, because it's just not my style. And I received it (that's my luck). Anyways, some people love it and I was able to sell it pretty easily! So it is off to it's happy home!!! 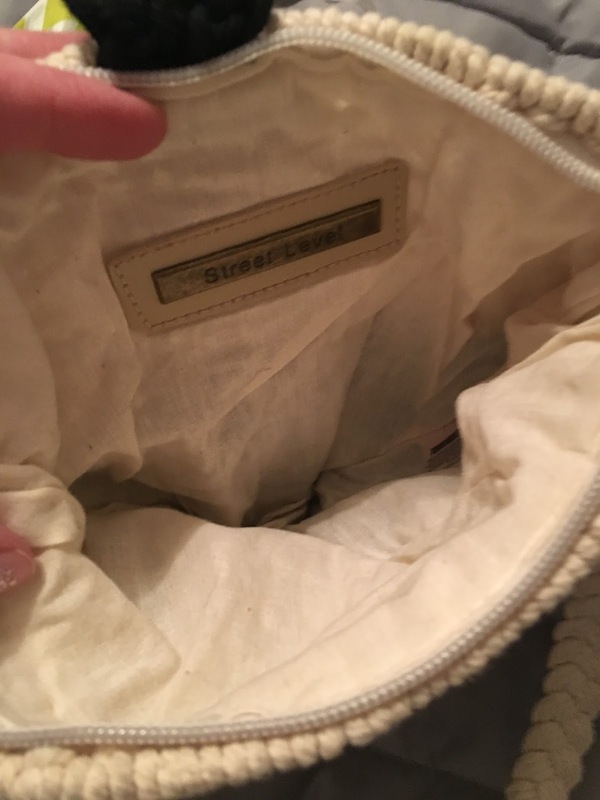 Here is what the inside of the bag looked like. 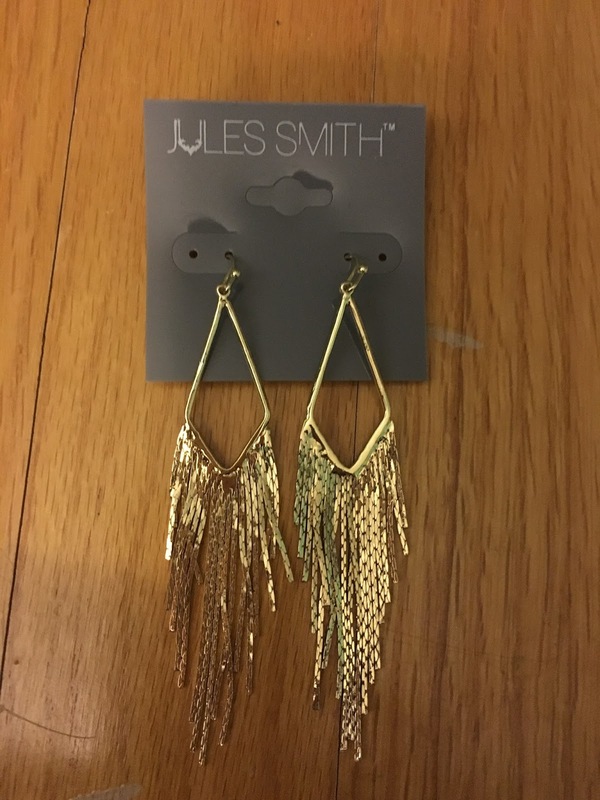 I also received Jules Smith fringe earrings in gold. I don't wear many earrings, especially long dangly ones, so I sold these also. They were well made and I figured they'd get more love with someone else. I knew they wouldn't be something I reached for often, though I thought about keeping them. 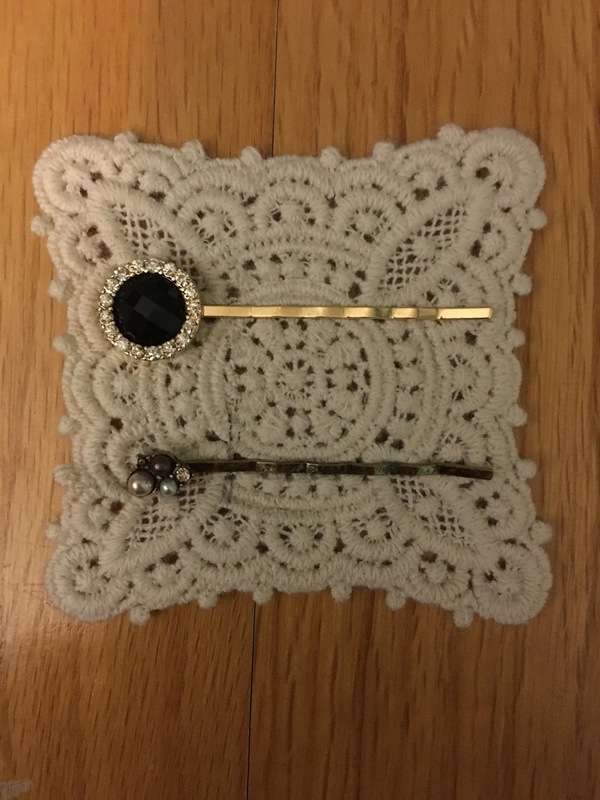 I also received rhinestone hair pins. I don't see a brand on these, but I love them and will wear these. They aren't the most exciting accessory, but at least they're keepers! And I love that they were packaged on a tiny square doily. So cute! They'll be adorable to display that way, so I'm keeping them on it and might add some other fancy hair pins to it!!! I'm saving the best for last! My final accessory is kind of unexplainable. It's a rope bracelet with gold metal discs. 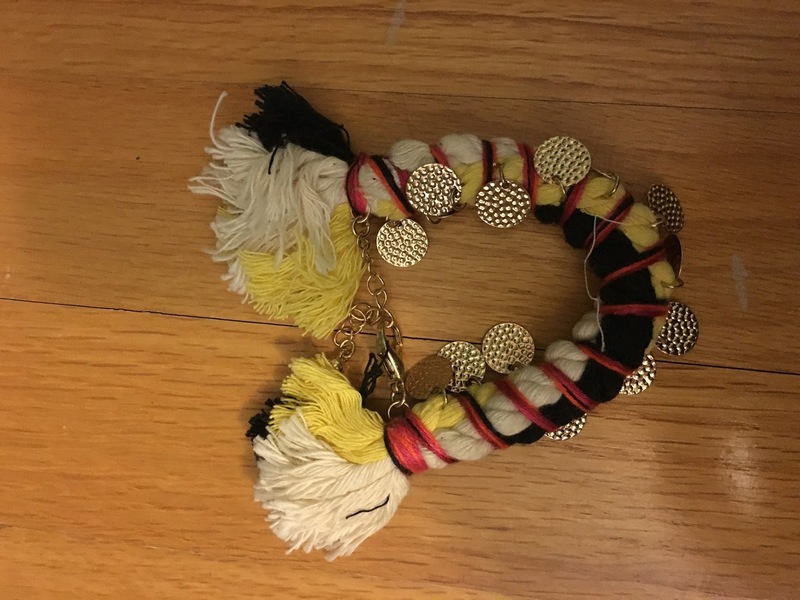 This reminds me of the rope toys that dogs chew on and it is not my style...at all. And I couldn't find anyone that wanted it, so I'll keep it around and see if I can think of anyone to gift it to. Or it may end up as a dog toy...if I can get the metal off it, haha. I think my dog would really like it to be his!!! 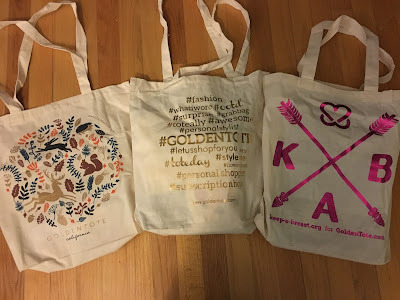 So, as you can see the Golden Tote mystery totes are fun...and very hit or miss! I think it was worth the value, and I do see people receive some really great stuff. Did you take a chance with the Mystery Totes? What did you get? They do lots of reveals on the Golden Tote Trading Group on Facebook, so if you want to see what other people received, join the group! 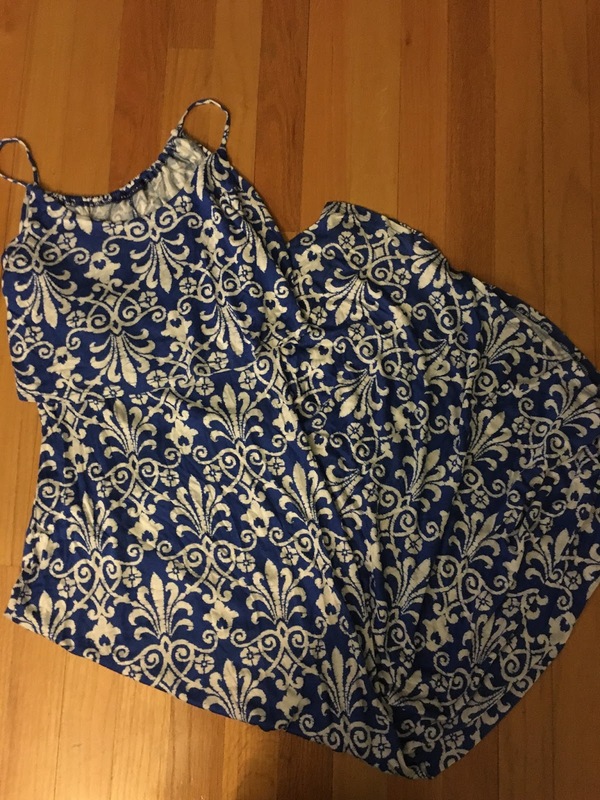 There is also lots for sale right now, and cheap, so check out what people are selling. If you missed out on something you really wanted, you might be able to find it now!